The 2019 Tour de France will start in the Belgian city of Brussels on the 6th July 2019. In the year we celebrate 100 years of the yellow jersey, Le Tour starts nice and close to the French border. Brussels is just four and a half hour’s drive from our depot and therefore an easy location to get to if you pick up from the France Motorhome Hire base. 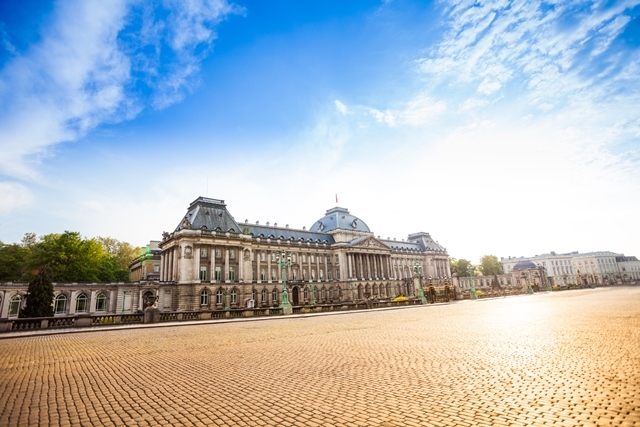 Brussels is a sophisticated and vibrant city so it is well worth arriving there at least a day before the tour starts to soak up the atmosphere and our 2019 Tour de France special packages will allow you to do just that. 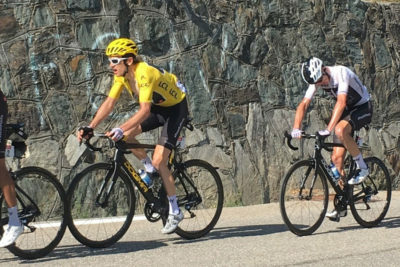 Now the route for the 2019 Tour has been announced, you can read our comments about it in our blog here: What do The FMH Team think of the 2019 Tour? As we have each year since 2012, we at France Motorhome Hire, in deference to our loyal and fanatical Tour followers new and old, are reserving most of our fleet for the Tour package in 2019. If you can start your hire even earlier than our Tour package, we would be happy to extend your hire to give you more time to recce the start area and find somewhere good to watch. If you would like to start your trip earlier, just let us know when you’d like to pick up and we will send you a quotation. There are two options for our regular 2019 tour package of slightly differing duration and six types of vehicle on offer. Both options start on the same day (Thursday 4th July) to allow time to get to the start but you can elect to return either one day before or one day after the Paris finish on Sunday 29th July. Having listened to client feedback over recent years, we know what makes a trip following The Tour successful and have devised a package specifically aimed at those who want to get as close to the action as possible. Everyone has seen the iconic images of lines of motorhomes parked right alongside the road on every stage of the route and with careful planning it is possible to see a good many of the stages. All hires start with pick up from our depot near the town of Sens (an easy journey from Paris, trains depart hourly and the fastest trains take just 56 mins) and allow plenty of time to take possession of your vehicle, head to a supermarket for supplies then head north for the start. Our young fleet of motorhomes and campervans are already equipped with everything you need for a successful motorhome trip and for the 2019 Tour, our package prices include the following essentials in addition to all the features and equipment usually found on our vehicles. Two “hybrid (road/mountain)” bicycles – helping you to access stages with ease. Free GPS hire – an essential tool for finding locations along the route. 5000 kms included mileage – enough to follow the race and plenty of additional side trips if you wish. Transfers to and from our local train station at the start and finish of your hire or parking for your car at our secure depot. Needless to say, if you want to bring your own bikes you are very welcome to as all of our vehicles are equipped with bike racks. The bike racks on our six-berth motorhomes carry four bikes (total max weight 60 kgs) and all other vehicles carry two bikes (total max weight 30 kgs). Pick up in the afternoon of Thursday 4th July – Drop off on the morning of Saturday 27th July. This allows time to collect your vehicle, shop for supplies, head to Brussels and be in position by Friday lunchtime before Le Tour start on Saturday 6th July (you can add more days before the start if you want to be in position earlier). Returning on Saturday 27th July, before the Paris finish on Sunday 28th July. Pick up in the afternoon of Thursday 4th July – Drop off on the morning of Monday 29th July. This allows time to collect your vehicle, shop for supplies, head to Brussels and be in position by Friday lunchtime before Le Tour start on Saturday 6th July (you can add more days before the start if you want to be in position earlier). Returning on Monday 29th July after the Paris finish on Sunday 28th July. Don’t forget, extensions are possible so if you would like to spend time in France or Europe before or after following The Tour, don’t hesitate to give us your dates and ask for a quotation. If you want to follow The Tour route in a motorhome and ride some of the best stages of the 2019 route (on your bikes or ours), before or after the live Tour dates, we’d be happy to offer you this package too (at the applicable seasonal rate which will be lower in any month other than July and really low if you come between October and April). The offer only applies to new bookings made after 12th October 2018 and is made subject to the availability of vehicles to hire. The offer is not available in conjunction with any discounted rate or other offer made by France Motorhome Hire. For any bookings made in advance of the final route being announced, the exact dates (and therefore package) offered could be subject to minor changes when the route is officially published. Although under the terms of this offer, bike hire will be provided free of charge, a security deposit of €250 per bike will be pre-authorised on your credit card when you arrive to collect your vehicle. Our charge over the funds will be released following the safe return of the bikes in the same condition that you collected them in. France Motorhome Hire do not organise any part of the trip other than the hire of the vehicle and package of inclusions as stated in this offer. Route planning, campsite reservations and all other arrangements are to be made by the hirer.